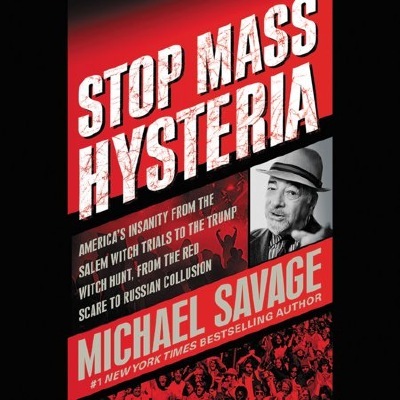 Michael Savage has a warning for America: Mass hysteria has overtaken rational political discourse and escalated to a crescendo following the election of Donald Trump. If we don’t learn from past mistakes, Savage argues, the current “collective derangement” which, he says, is being used by power-hungry actors and channeled into “orchestrated mass hysteria,” will lead the country to a very dark future. Savage sounds the alarm bells in his latest tome, Stop Mass Hysteria: America’s Insanity from the Salem Witch Trials to the Trump Witch Hunt, is now available. Added details about the need to STOP MASS HYSTERIA. Direct link to STOP MASS HYSTERIA by Michael Savage.